Congratulations to Julie and Justin on the birth of their amazing daughter Teagan. Their connection and intimacy through labor truly shone through. Through their labor, I kept thinking in my head, 'this is how it should always go...' Amazing family. Indeed. "Our beautiful daughter Teagan was born wednesday at kaiser wc, with my husband on one side of me, and Kenda on the other. 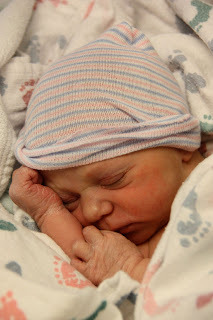 Choosing to have a doula at my birth, and choosing Kenda as my doula, were two of the most important and best decisions I made about my pregnancy and delivery. I am convinced that my deep trust in Kenda's knowledge and abilities was a central factor in what was a fast, natural childbirth. As soon as I began working with Kenda, I knew I would be totally supported and taken care of through my pregnancy and delivery, and that's exactly what happened. I will always be grateful to Kenda for bringing her warmth, strength, and knowledge to my pregnancy and our daughter's birth." 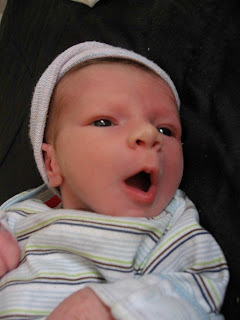 -Julie, mom to Teagan, born 2/10/2010, weighing 7 pounds, 7 ounces, 7 hour labor! "Historically, scientific reductionism has provided an amazing understanding of the nature of the body’s structure, from organs to cellular organelles and down to its genes. However, the limitations of this approach are clearly evident in science’s inability to resolve today’s healthcare crisis. 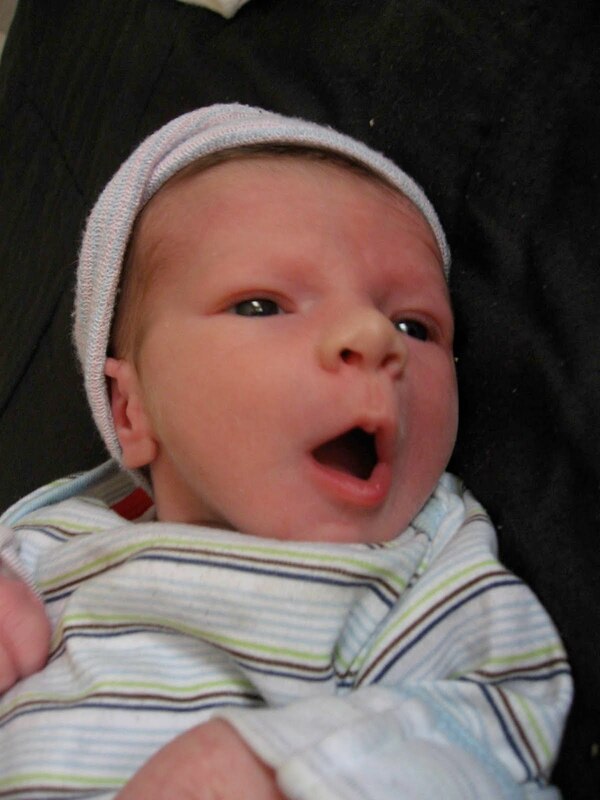 Welcome baby Lou, a VBAC superstar! Welcome to the outside world, sweet baby Lou! Lou's mama was past her due date and anticipating a VBAC (vaginal birth after cesarean). She came in for her first adjustment and hours later was in labor. Her body was so smart, it just needed to be set free. After a successful vaginal birth, Lou was born into her parents loving arms. Many times a baby will stay in the womb until everything is just right. The slightest bit of tension in the pelvis, uterine ligaments, or the rest of the body can trigger the baby and the mama's body to not initiate labor. Because labor and birth are such an exquisite perfect choreography, it is so important to allow as much room and freedom for the baby and mom as possible. The adjustment can provide this very easily. VBACs are often discouraged against in the hospital setting because there is a myth that the chances of uterine rupture or other catastrophes might arise. But Lou's mama, as well as thousands of other families know better. VBAC's are much safer than c-sections for so many reasons. Over half of cesareans result in complications (from infection to post partum depression) and the mortality rate is 2 to 4 times higher than in vaginal births. A cesarean can be absolutely life saving, but unfortunately are overused to a dangerous level. Many factors, such as baby and mother positioning, mother's sense of comfort and safety at the birth, and the tension in the pelvis and uterus can greatly affect the end result of c-sections. This is why I recommend to all pregnant women that they get adjusted. It can literally save lives. It takes tremendous strength and diligence to convince many medical care providers that VBACs are a much safer route. Let us spread the truth and allow these babies to have the safest, most beneficial births possible. Meredith, a local midwife, discusses her experience of getting adjusted after contractions had completely slowed down during her labor. The reason that labor can progress after an adjustment is because the body has an opportunity to reset. Even slight tension through the uterine ligaments, sacrum, pubic bone, and the rest of the spine can cause the contractions to become uncoordinated and eventually plateau. This is usually when moms fatigue and often leads to interventions such as pitocin, vacuum extraction, and c-sections. These interventions can usually be avoided with the gentlest of touches during an adjustment. Dr. Kenda attends labors at home and in a hospital setting when needed to help women have a safer and easier labor and birth. Welcome new chiropractic superstar Toby! An old soul for sure. Congratulations to the whole family! Here is baby Oscar holding himself up like a big boy the day after his 3rd chiropractic adjustment ever. At only 6 weeks old he is so strong and vibrant! He and his parents are rockstars and we send them many good blessings. Dr. Kenda specializes in gentle family chiropractic care through the approach of Biogeometric Integration. This is a style of chiropractic adjusting that is gentle and uses precise light touch and bony adjustments along with breath work to help you shift old tension and stress patterns to patterns of inner peace, growth and wellness. The work is gentle and very effective at helping clients find relief from life's stresses. 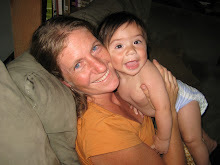 Dr. Kenda has done a diplomate program in pregnancy and pediatric care and is also a doula. Pregnant mamas find that getting adjusted will help relieve much of the discomfort and overwhelming sensations of pregnancy, and that chiropractic care helps their labors and births to be much more smooth and complication free. Babies are brought in after they are born, or Dr. Kenda will attend the birth to adjust mom during labor and the baby once it comes out. A gentle and precise touch can help with many issues in breast feeding, fussiness, and simply adapting to their new world. In addition, Dr. Kenda is an animal chiropractor. She primarily sees animals out of Muller Veterinary Hospital (http://www.thek9rehabcenter.com/) but is also available for home visits.